Right Brain Productions was designed when the founder Ross Mc Cormick approached Zonua about a simple, fresh new website for Right Brain Productions. While Ross works in the music industry, he has a graphics design background, and had designed the layout of his website in Photoshop, and had very specific ideas regarding the appearance of his website. It was determined that Right Brain Productions required a custom-made website, so this website was designed from scratch for Ross. 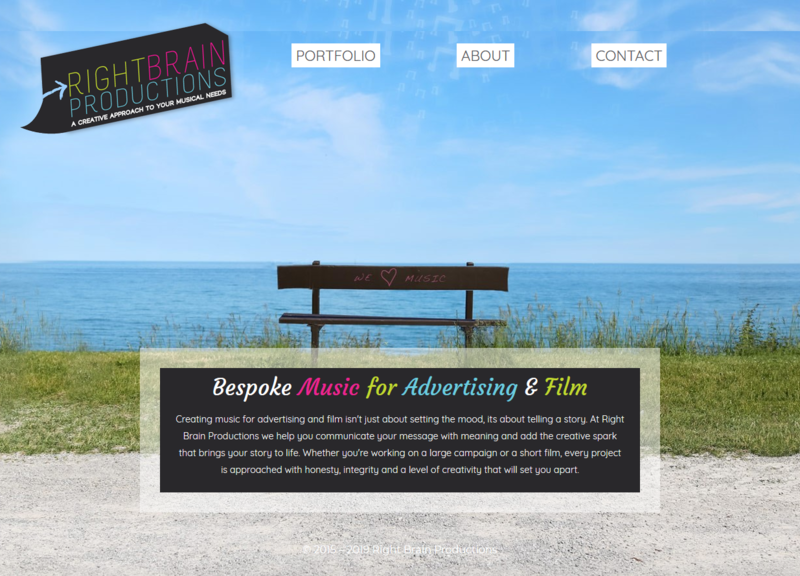 Right Brain Productions create music for advertisements and films, and clients include AIB, Full Tilt Poker and Estrella beer.